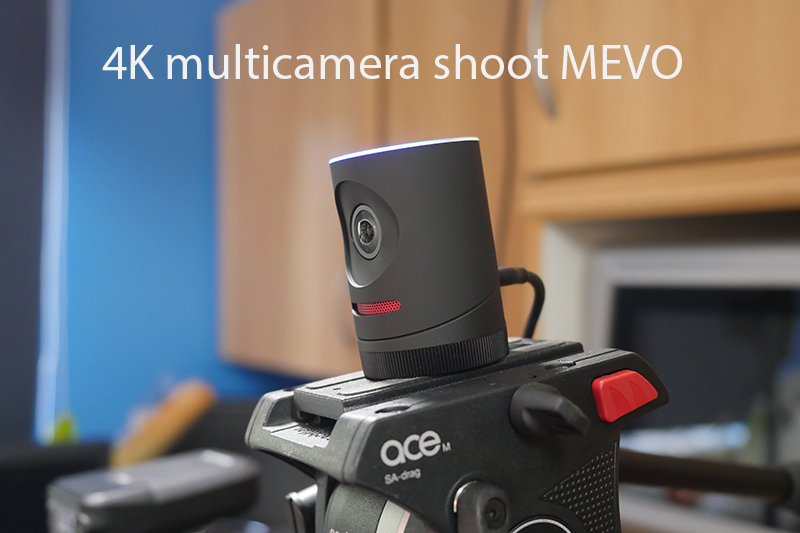 As I was filming an episode of “One Roving Cook” the MEVO arrived… a very low budget multi angle production all from one 4K camera. Confusing…the main screen stays the same its the thumbnail (top of screen) that changes becoming your program output, it took a while over lunch to suss this out. The camera comes with a micro SD card but I could not find out how to record to it, so everything it stored on the iPad Pro. Scott became the vision mixer for the demo below, and before you all rush to the computer to order one… I was more impressed with the quality than I was expecting but the cut in picture is noisy as you would expect though not that bad as you can see in my demo below. The inbuilt mic can be overridden by your iPad as long as you have a SC7 patch cable as I have from RODE but that was not used in the demo below. 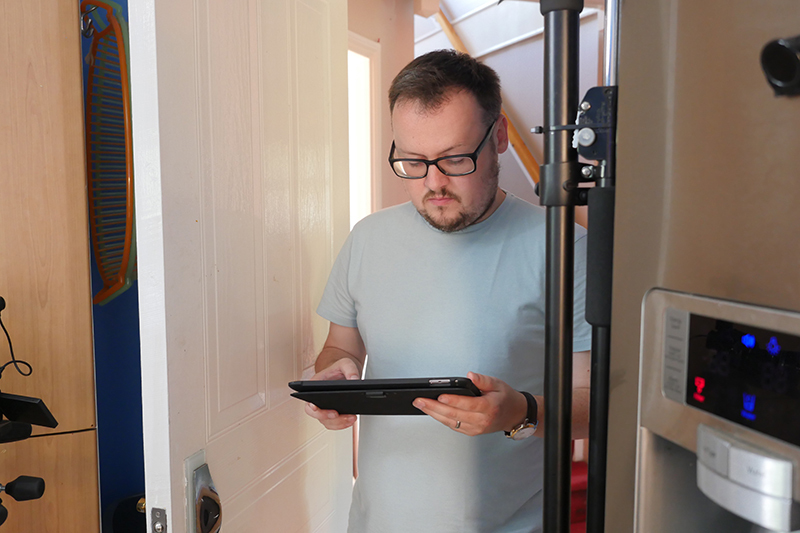 My main complaint from version 1 is that it can take ages for the MEVO Wi-Fi to be recognised by the iPad, I hope this gets better in the next firmware. 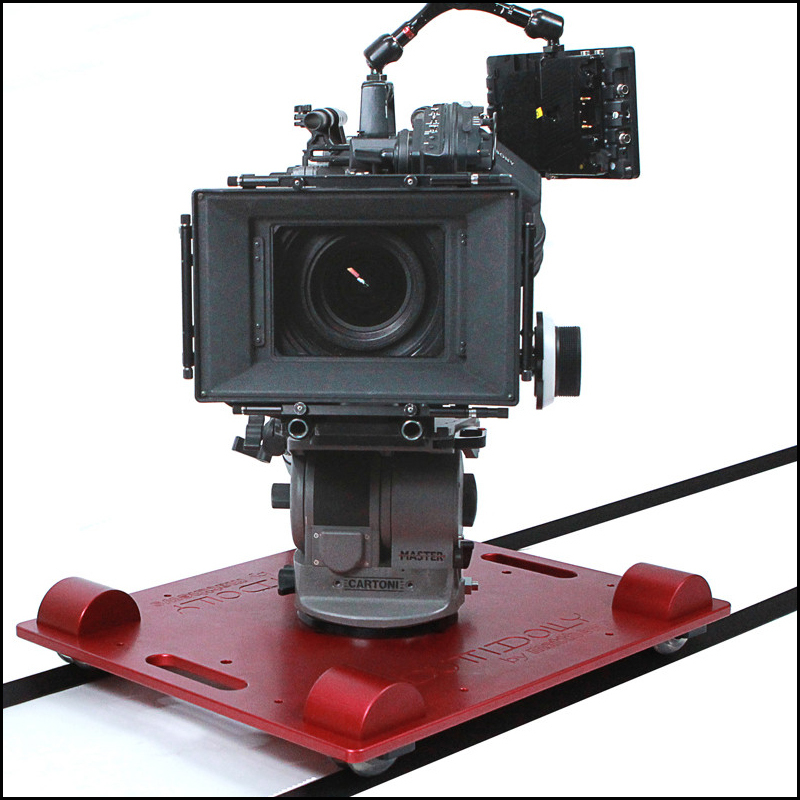 This would be a great unit for schools and colleges that want a low budget way of performing a multi angle shoot on HD. 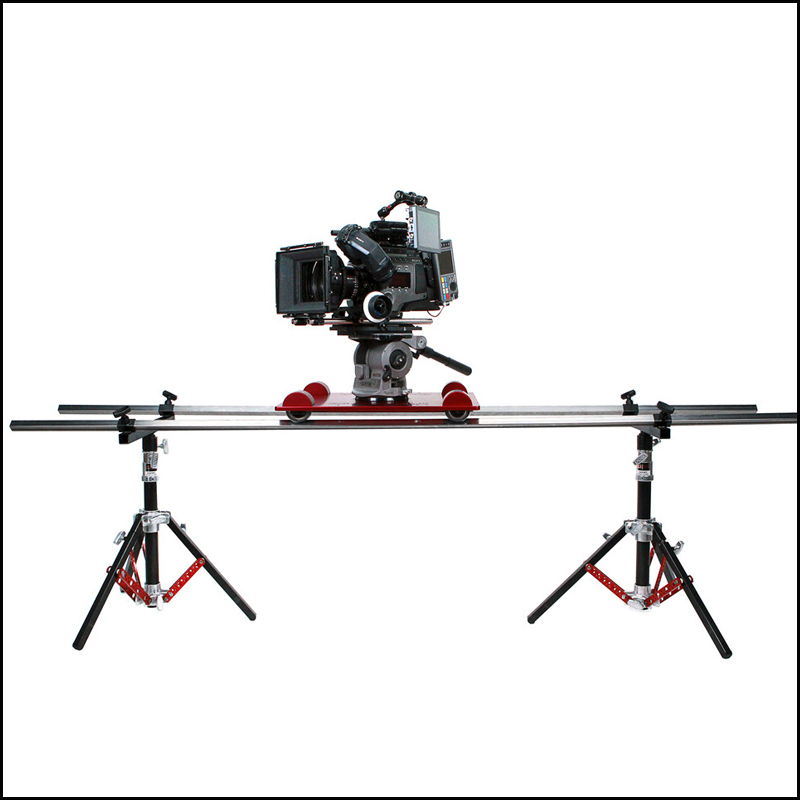 Gimbals are coming of age, easy setup is the name of the game. 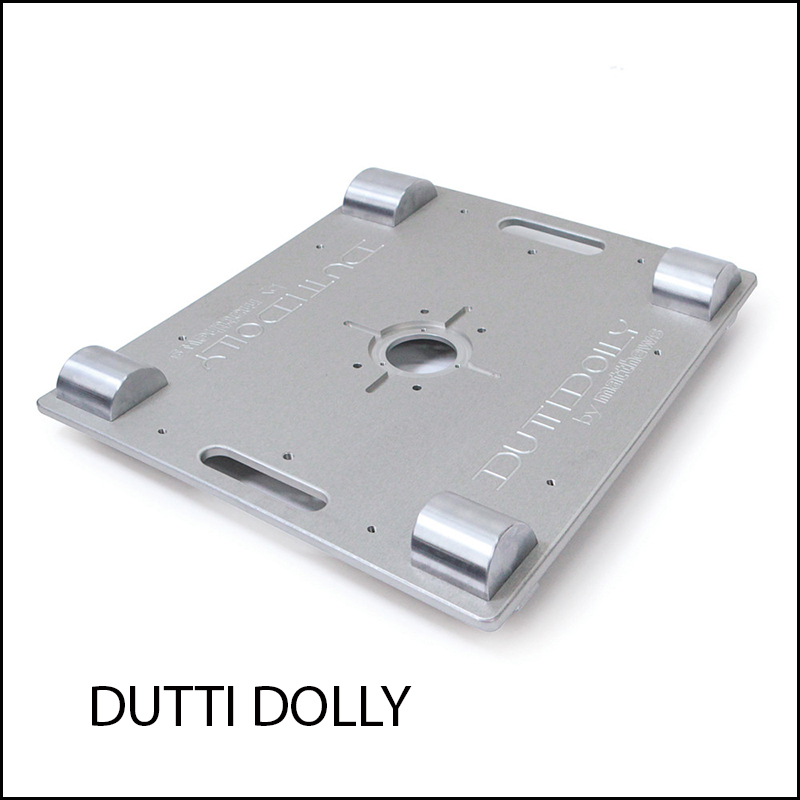 At $1999 this seems to be an excellent solution for all cameras from mirrorless, DSLR and the Black Magic camera. 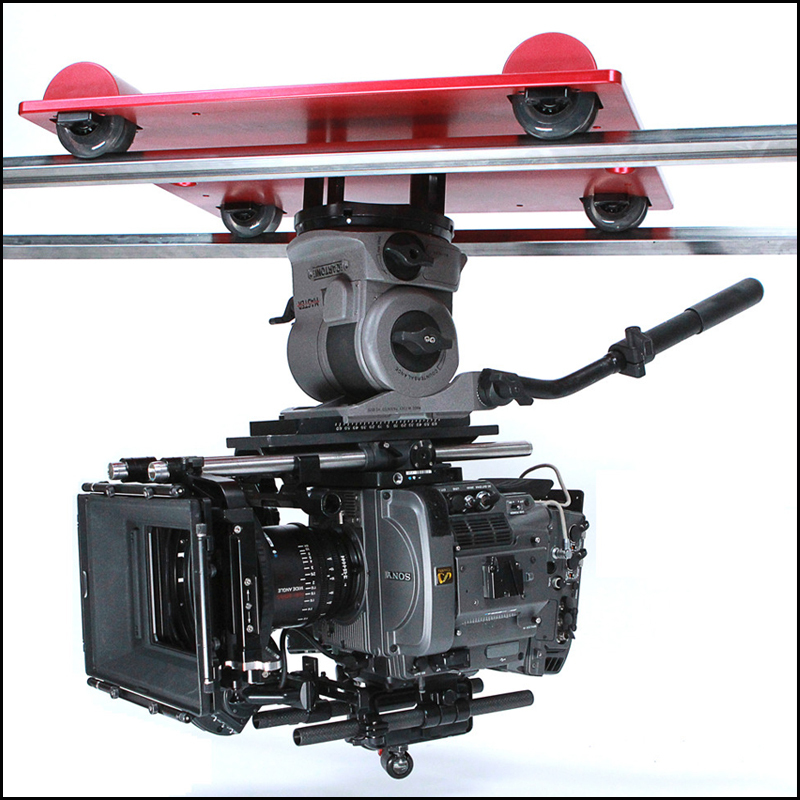 Having had a Ronin M, I was appalled at the time needed to swap over to a new camera and re-set the balance. 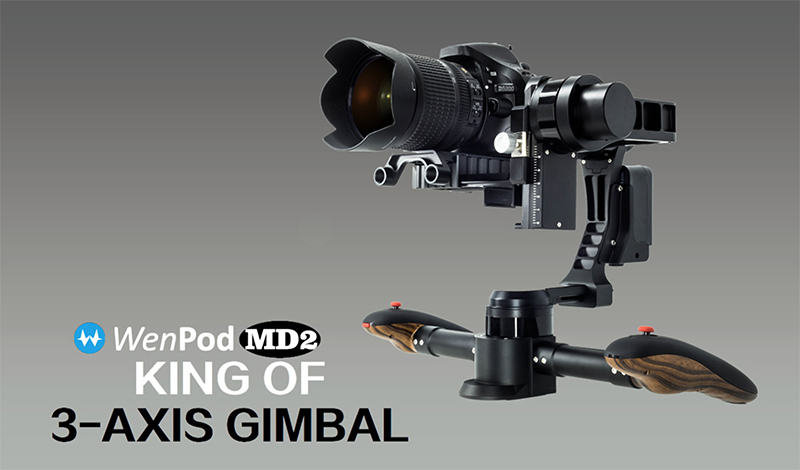 This new generation of almost self balancing gimbal seems to be the future for this technology. Will be interesting to see what my readership think of this, unfortunately I have been left with a slight stammer since my stroke but we all take it in good taste and joke about it. 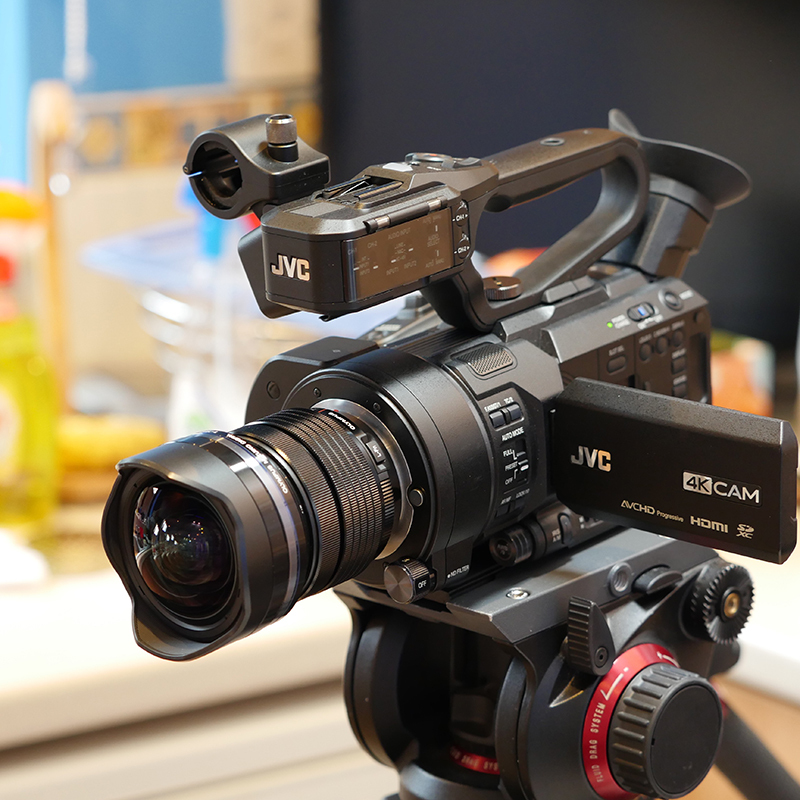 I am using various cameras to produce this a JVC LS300 with radio miss plugged into Ch1 and 2. A wide 7mm shot from a GH4 and a high production shot from a GX8. The best shot comes from the FZ1000 mounted on my ceiling and controlled by my iPad to the left of shot. Unfortunately it has brought a glaring omission to light in You Tube …the ability not being able to update a video as you can in Vimeo. And finally, Sony has unveiled its latest Multi Camera Live Producer. 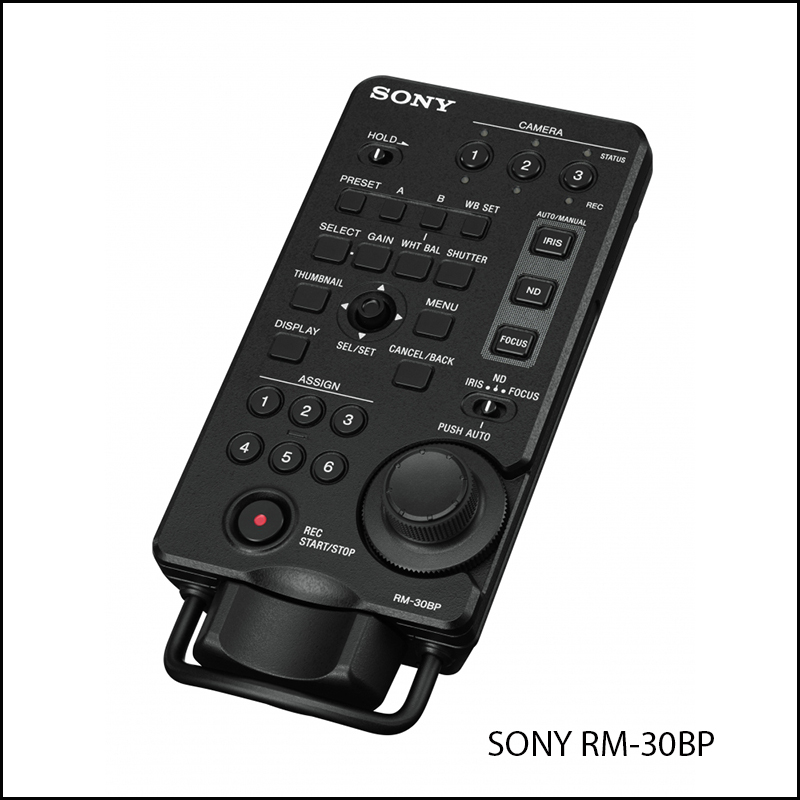 The MCX-500 includes a wide-range of functionality along with an easy-to-use interface, to give operators the flexibility to easily cover different types of productions. 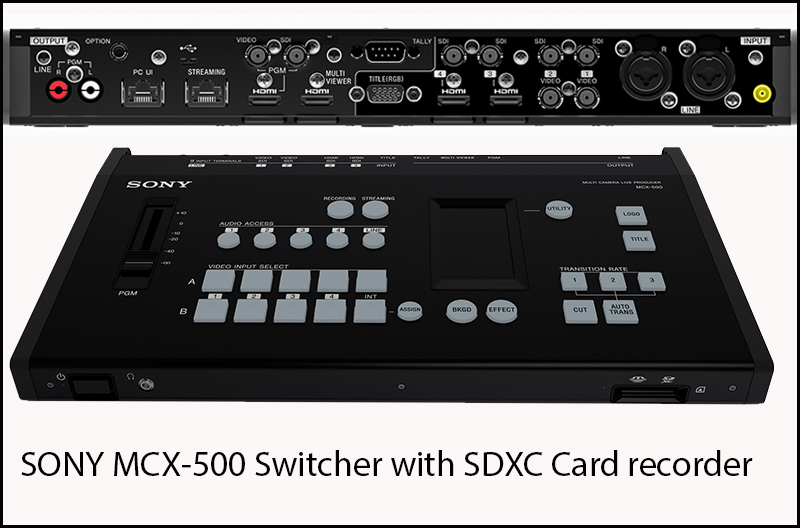 It is a 4 channel video switcher that offers users the option to select from 9 inputs, including 4x 3G-SDI, 2x HDMI and 2x CVBS. It also has an SDXC card recorder built in recording 8bit 4:2:0 pictures. 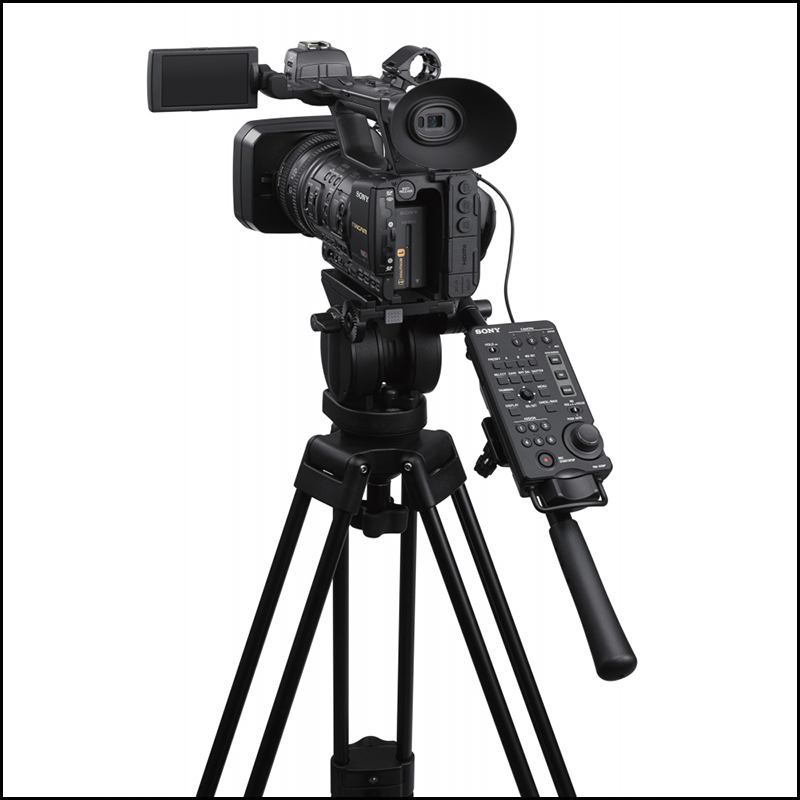 All you need to record your production is an SD card, affordable and widely available with no need for an external recorder. 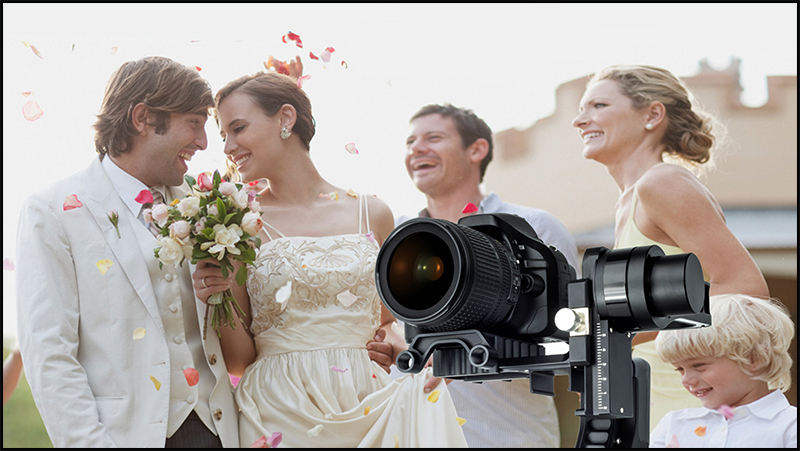 As soon as the shoot wraps, you can provide the customer with a high quality AVCHD or XAVC S 50Mbps* recording to archive, re-broadcast or even re-edit into a highlights package on any leading non linear editing software. Note XAVC S with version 2 firmware. 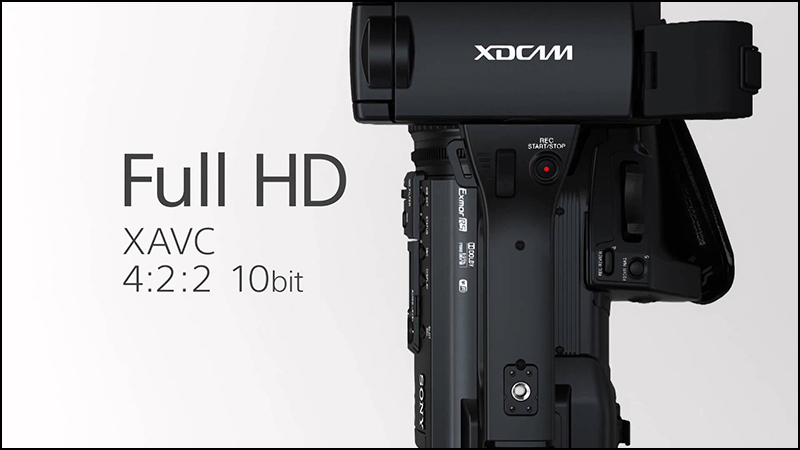 How many times are we going to get a minor update to this camera, here are the rumoured specifications…4K is good but 720p at 120fps is useless. Still 8bit…WHY ? If the Panasonic GH5 appears with 6-8K this will leave the Canon dead in the water. 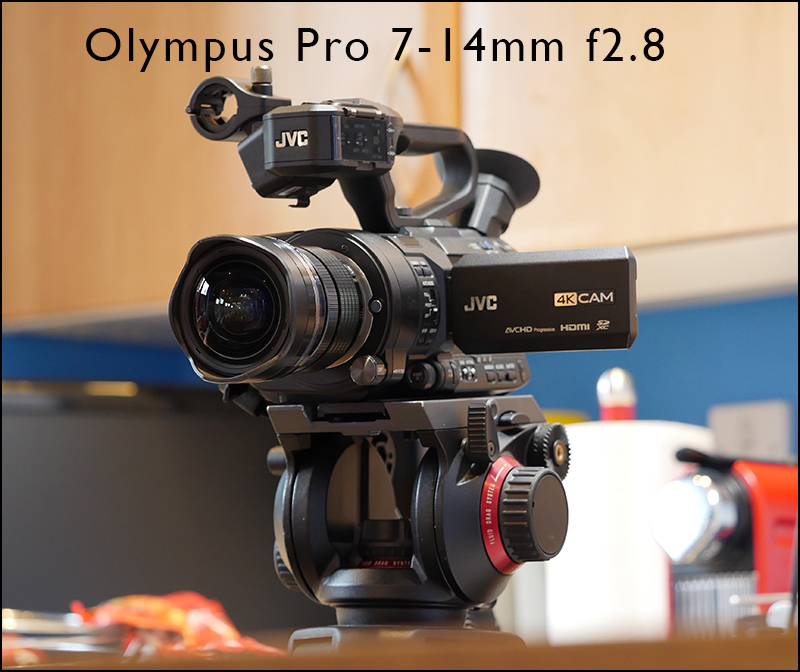 Personally I think cameras like this should be left as photographic tools and strip out all the video features, mirrorless is the only way forward for video featured photographic cameras. 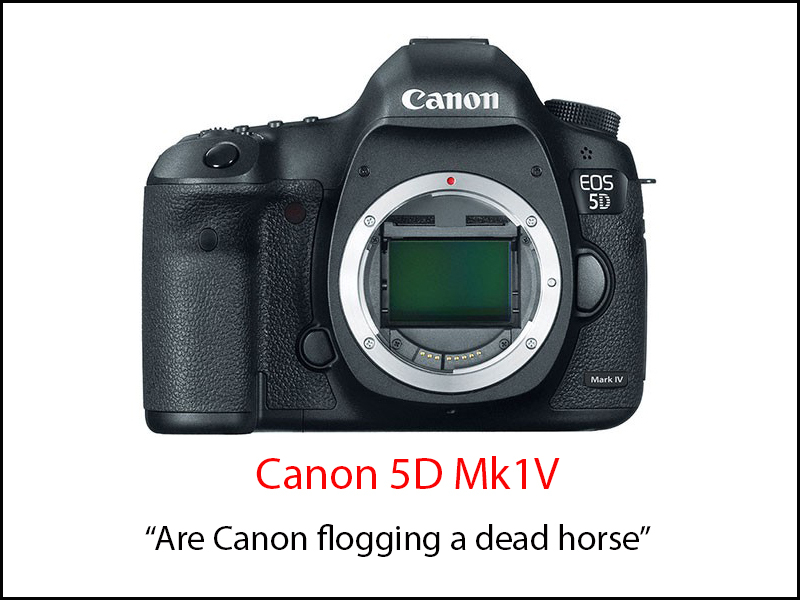 The 5D has been crying out for a swivel viewfinder from day one and Canon insist in leaving it as is. 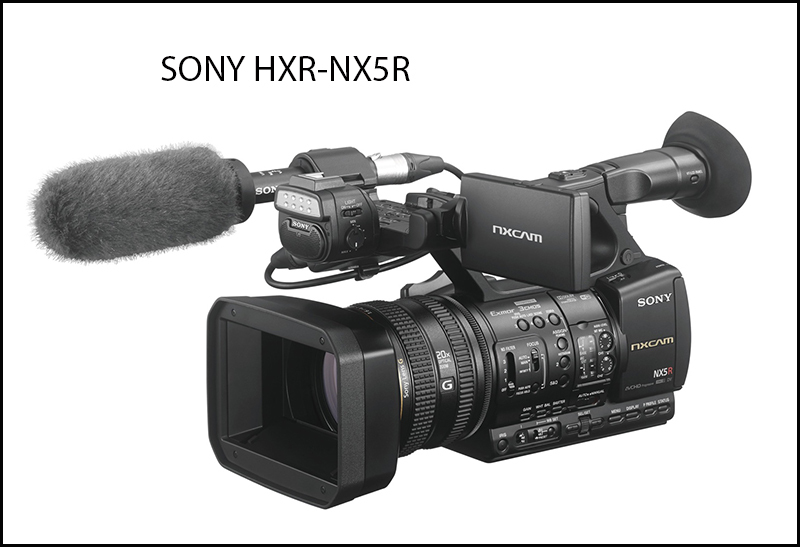 I think with all the video options we now have like the JVC LS300, Canon C100 Mk11, Sony’s FS5 its clear we are now covered for shallow depth of field camcorders. 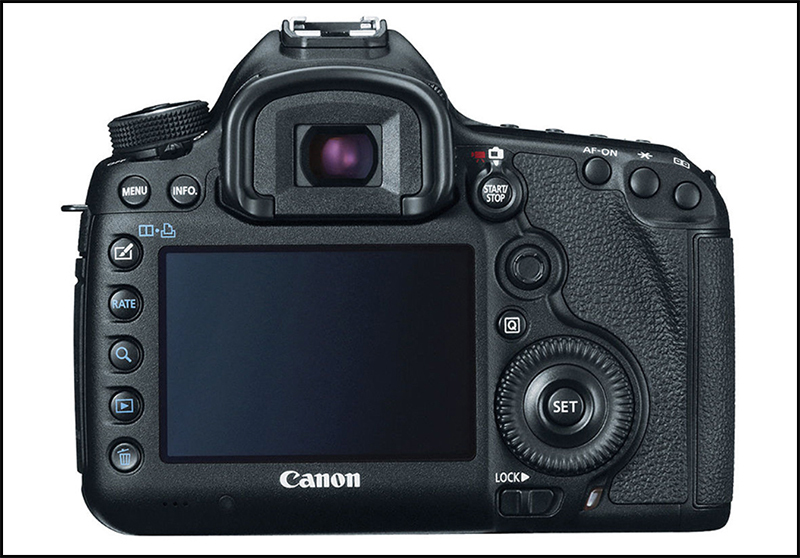 The need for Canon to keep updating the 5D is in my opinion driven by the sales in the past and not by anything technically outstanding. Email me with your offer at hdwarrior@me.com and I will send you my PayPal details. (EU only). 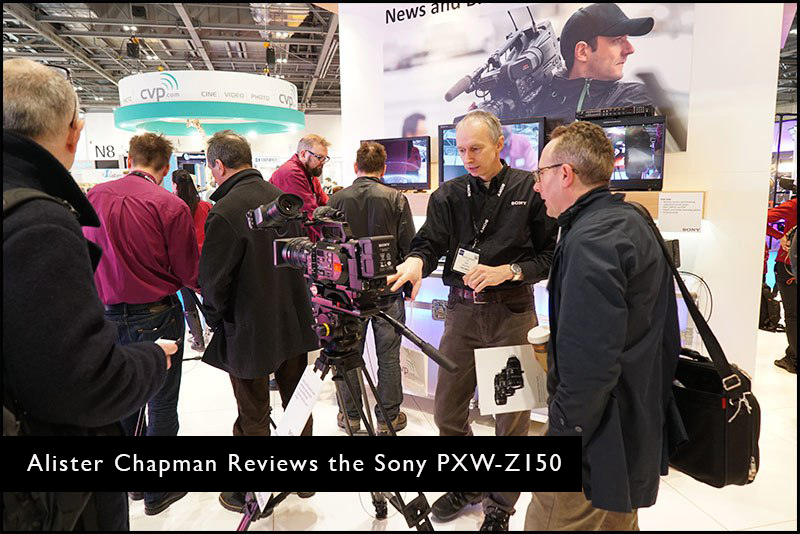 The PXW-Z150 is a compact jack of all trades camera that’s easy to work with, has a great zoom range and delivers a respectable looking image. The largeish 1″ sensor gives a greater degree of control over the depth of field than you will have with a camera with a 1/2″ or 1/3″ sensor. 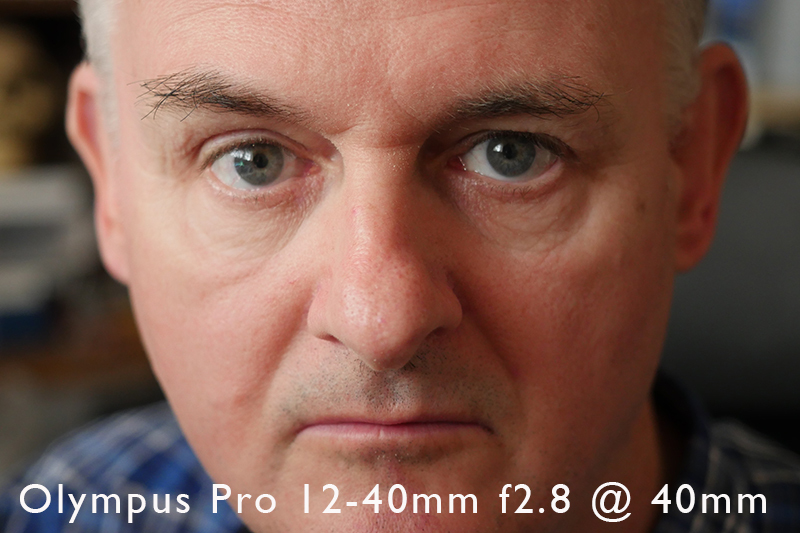 Olympus PRO micro 4/3 lenses…the best sharpest micro 4/3 lenses you can buy. 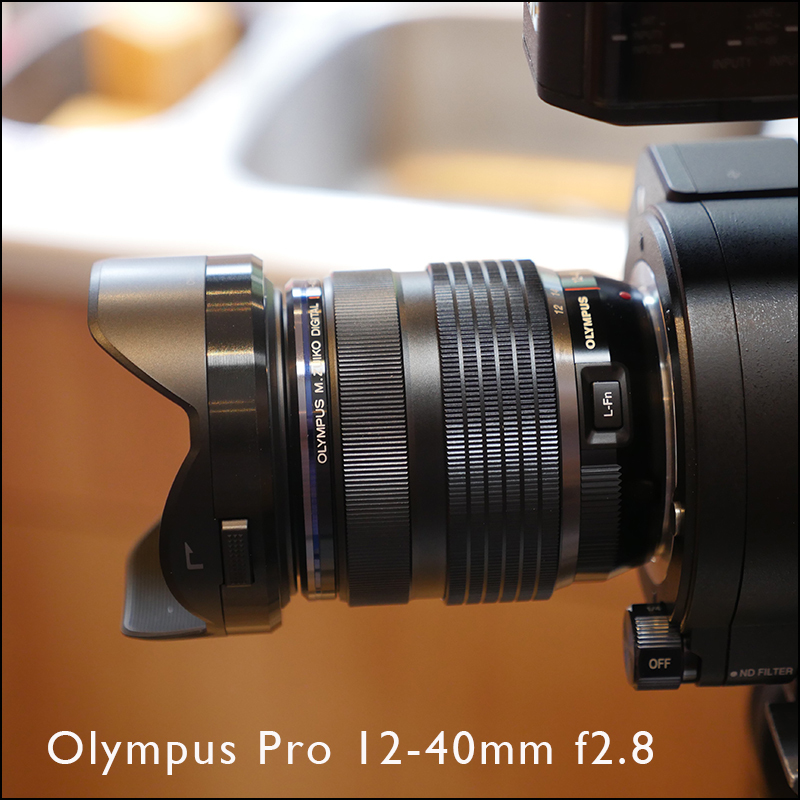 The Olympus Pro micro4/3 lenses are a lot sharper and far better made than my Panasonic 12-35mm lens. 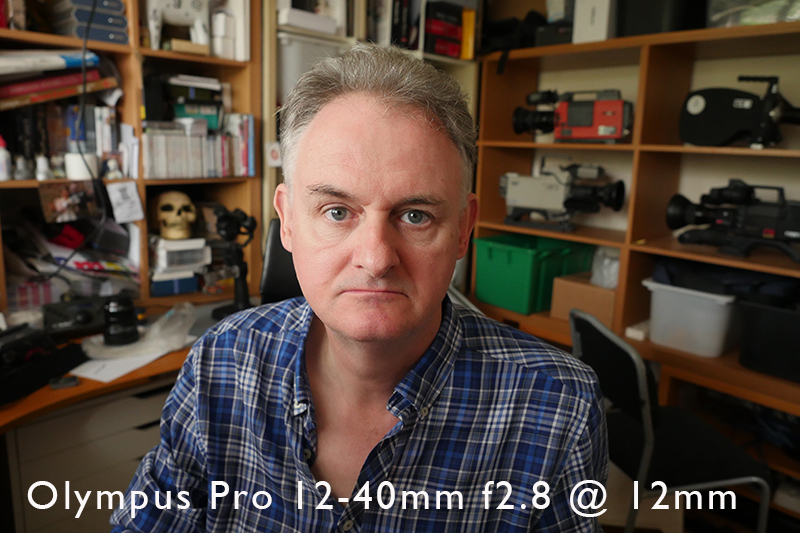 It shows big time on the 7-14mm f2.8 Olympus Pro lens, this beats the Panasonic 12-14mm f4 lens hands down in sheer quality of glass, they also weigh a lot more. 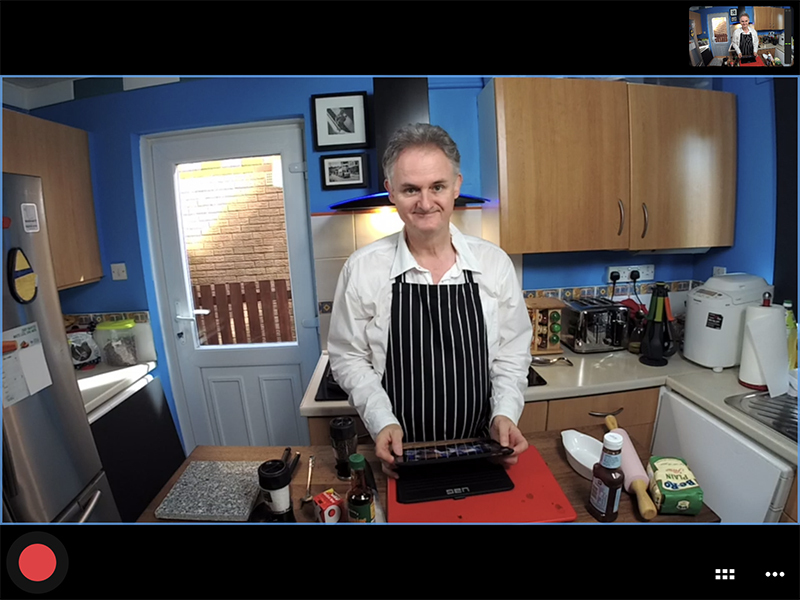 Both pictures taken with the Pansonic GH4 at the lens wide open f2.8, even at 12mm which has the equivalent 35mm FOV of a 24mm lens. 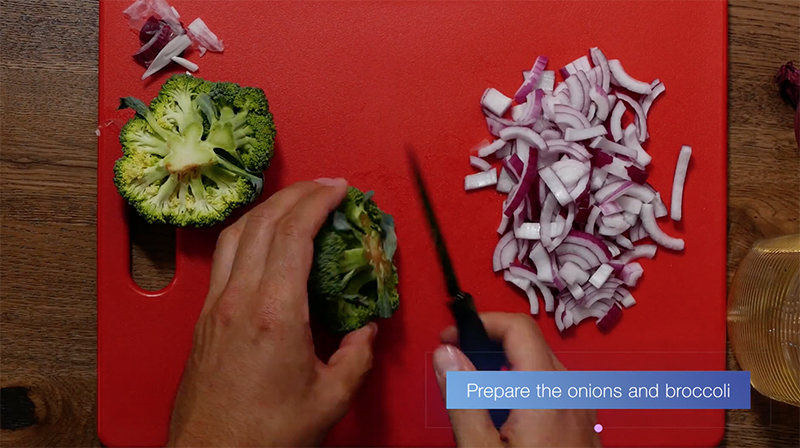 One Roving Cook coming to a You Tube Channel near you. 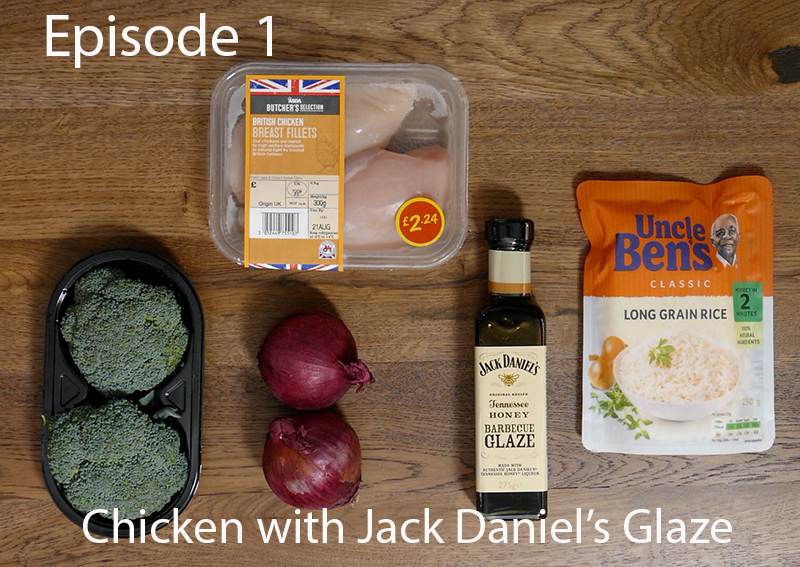 This is an idea I have had in my head for over five years now, teaching people how to cook from scratch using everyday ingredients bought from local supermarkets. There are a lot people who want to cook but think it’s too hard, especially those living alone and who may never have had the chance to learn. 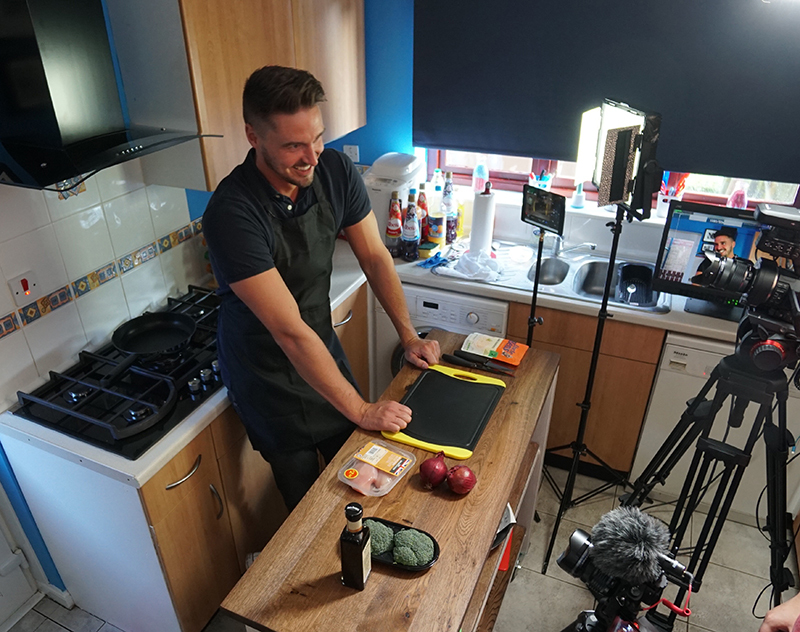 I have two passions, filming and cooking and with my production skills I am combining both passions to produce a unique taste of Scotland, archiving the best locally produced family meals with a bit of humour added along the way. How many times do you read a recipe book to discover you either don’t know what certain ingredients are or you can’t source them, this is where “One Roving Cook” delivers, all my recipes are simple and locally sourced in shops we all shop in. 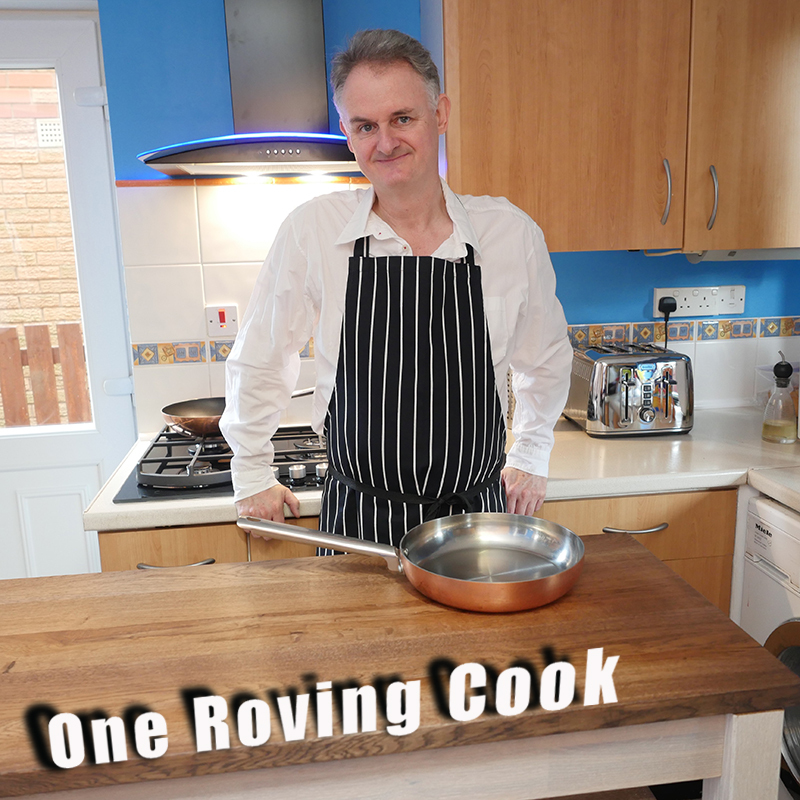 Why “Roving”, simple I will take you to different kitchens throughout the series to meet and enjoy different characters and flavours from all round local Scottish family kitchens. It will have a mixture of meals from healthy to the not so healthy. I am not a professional cook as you all know but have been cooking the family meals for well over 25 years and have picked up a few ideas along the way, I got a great recipe from Doreen a professional catering cook while filming a child’s bar mitzvah many years ago. 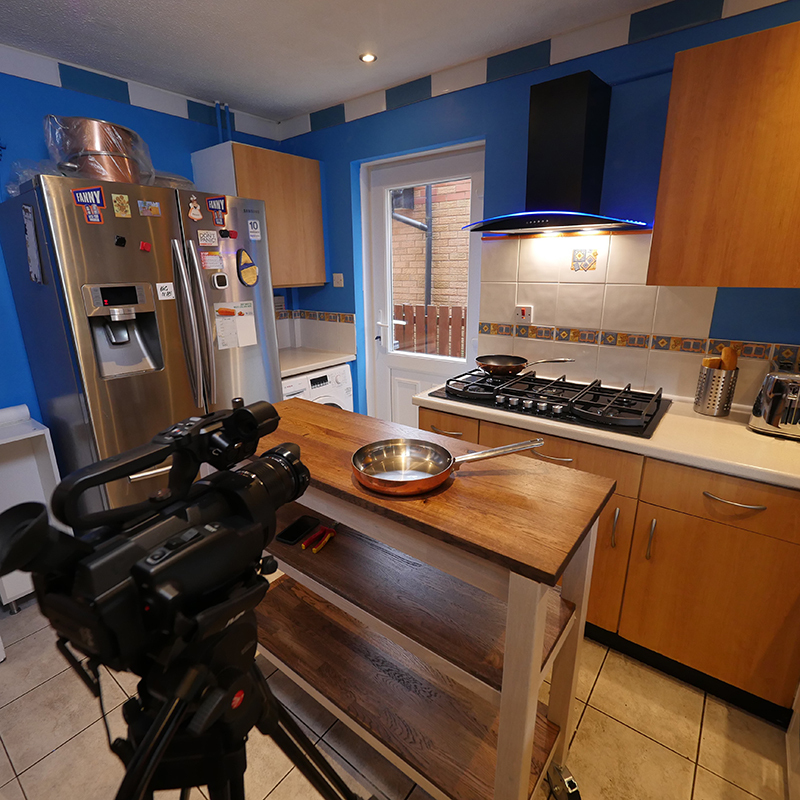 As you can see it’s not a professional kitchen and it will be shot with three cameras, the main one being a JVC LS300 with a 12-40mm f2.8 Olympus PRO lens, a Panasonic GH4 with a 7-14mm f2.8 Olympus PRO lens for static wide shot and a static remote controlled Panasonic DMC-FZ1000 with a 24-400mm f2.8-4 Leica zoom lens from the roof, all shooting 1080 50p. Would you like to invite me into your kitchen email me with your recipe. I will show you the pilot when we have produced one, hopefully this week.